Plan #61948, GeoTrust Multi Domain [...], $ 229.05/yr. See also original GeoTrust Multi Domain SSL (UCC) plan location on their website! 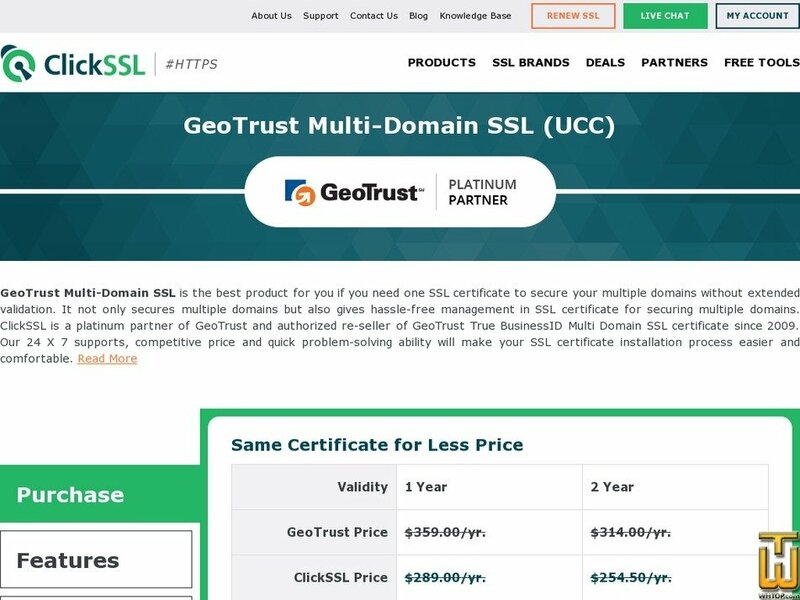 GeoTrust Multi Domain SSL certificate allows you to secure up to 100 domains. It is the best SSL certificate for multi domain security. It is also known as GeoTrust UCC SSL. Buy with ClickSSL and save 36%. Note: Default price is for 5 domains license.